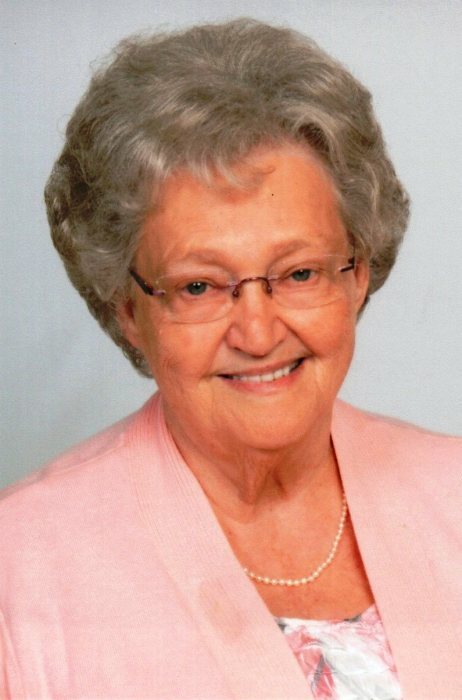 Betty R. House, 82 of Clayton, passed away on January 17, 2019 in her residence. Betty was born on September 20, 1936 in Clay City, Indiana to William Ralph and Margaret Louise McDaniel Baumgartner. She was the widow of Herman House. Betty worked in the Cascade High School cafeteria for several years and was a dietary supervisor at Danville Regional Rehabilitation before her retirement. She attended the Plainfield First Assembly of God in Plainfield. Survivors include her children: Dan House (Cindy), Mary Jane Vieira (Joe). Sisters: Barbara Burris and Mary Lund. Brothers: Sam, Carl and Jim Baumgartner. Grandchildren: Megan Bixler (Justin), Evan House, Danielle Shepard (Drew), and J.T. Vieira (Shelby). Great grandchildren: Rawling Bixler and Arlee Vieira. Funeral services will be held on Tuesday, January 22, 2019 at 11 a.m. in Hall-Baker Funeral Home, Plainfield. Burial will follow in Clayton Cemetery. Visitation will be held on Monday, January 21, 2019 from 4 p.m. to 8 p.m. in the funeral home. Please visit www.bakerfuneralservice.com to leave the family a condolence.